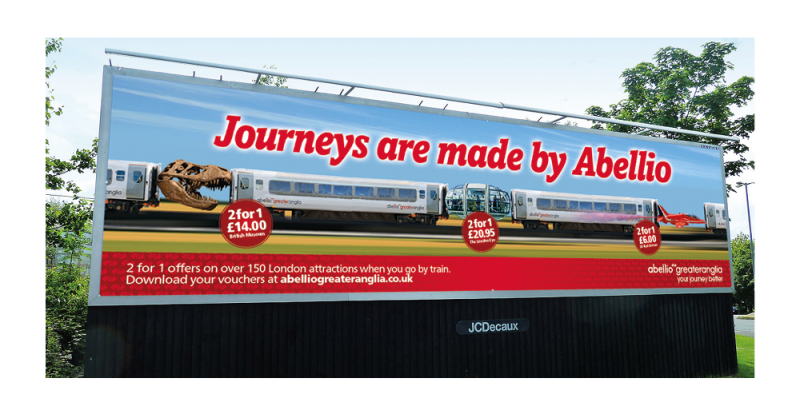 We are no stranger to working with Train Operating Companies (TOCs); we spent nearly seven years working on the Greater Anglia franchise on everything from seat sale promotions, destination marketing and business travel to new service launches, food sales and product creation. So, we were chuffed to be invited to pitch when Abellio Greater Anglia was recently seeking a new agency. 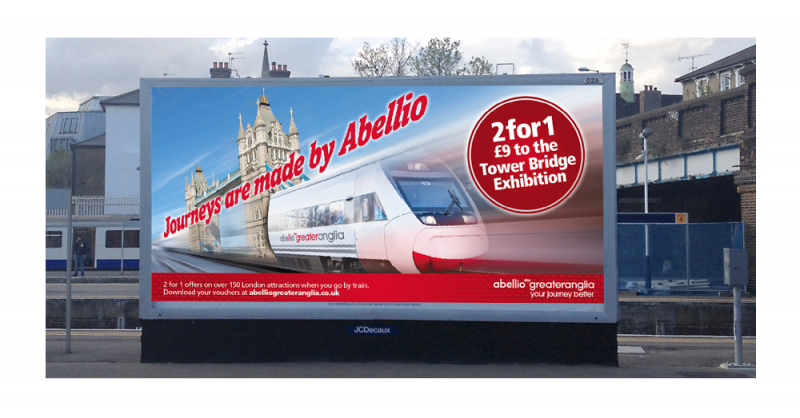 The brief was extensive, but the main priority at pitch was to create concepts for Abellio Greater Anglia’s 2 for 1 London destinations offer; it is a big campaign that is a major driver of ticket sales over the summer period. It’s seen across the east Anglian region, from door drops and 48-sheet posters to online and TV. 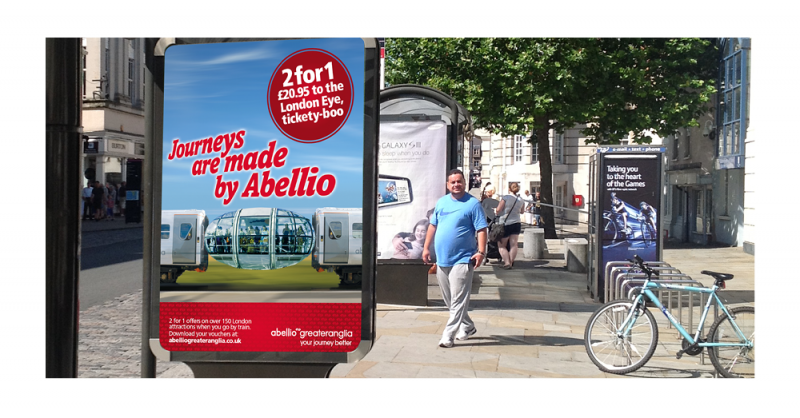 Our lead idea was ‘Journeys are made by Abellio’, some examples of which you can see here. We were also asked to demonstrate a fresh approach to customer-facing communications – the various mandatory messages that have to be displayed on the station platforms to inform passengers on safety and improvements. Sadly, despite the energy we put into this one, our pitch was derailed by a better idea. But that is pitching and once again we are proud to showcase some more of our unsold work.